Welcome to Smith Orthodontics, established in 1996 by Dr. Drew Smith. 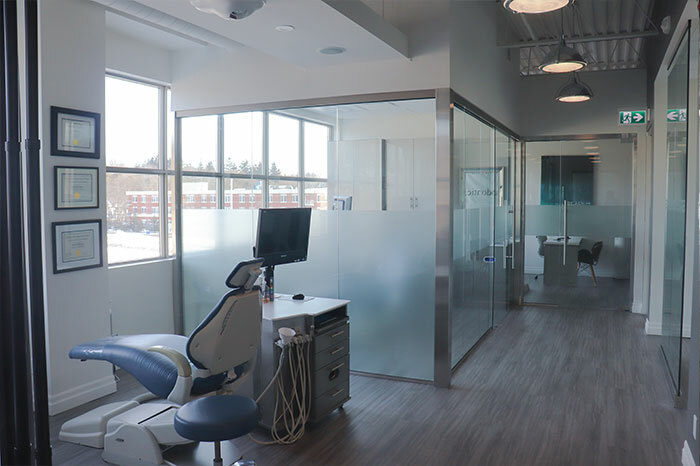 Our goal is to provide our patients with optimal specialty orthodontic care, combining clinical excellence with the latest advances in technology in a comfortable and caring environment. Our certified orthodontist and talented staff work hard to bring healthy smiles to the London, ON area! As a certified specialist in orthodontics and dentofacial orthopedics, Dr. Smith is able to provide his patients with the most modern advances in orthodontics, including ceramic / aesthetic braces, Damon® Smile self-ligating braces, Insignia™ braces, HARMONY System lingual braces, Invisalign® clear aligners and Invisalign® Teen. Dr. Smith has also integrated advanced digital radiography and computer analysis to help ensure that his patients receive the most effective diagnosis possible. One of our greatest strengths at Smith Orthodontics is the ability to recognize each of our patient's orthodontic concerns and our ability to achieve their goals. Dr. Smith works closely with each patient's general dentist as well as other dental specialists when warranted. Whether you're an adult, adolescent, or child, Dr. Smith and his staff are committed to helping you achieve the smile you deserve: a healthy, beautiful, timeless smile. Contact our office to schedule an appointment today!